I've been in the rotation this week doing some editorial illustrations for the Times. 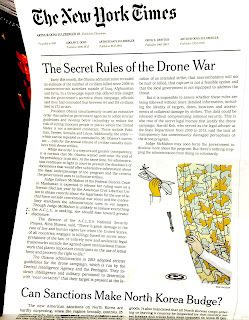 This editorial was about the secret rules that govern drone targeting and killing of terror suspects. Art director Sarah Williamson suggested the camouflage idea, and I thought of the idea of a curtain being drawn aside to reveal what is going on. 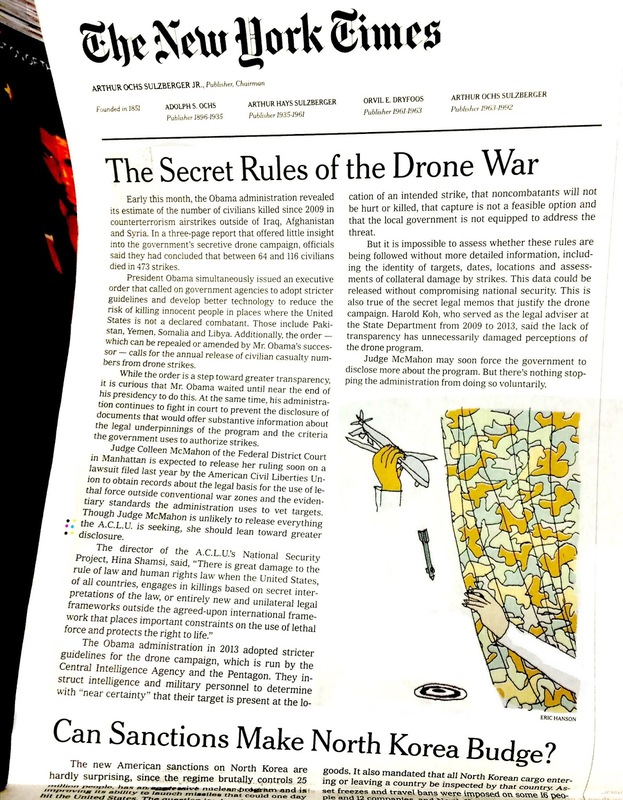 Drawing the drone and the hands and the missile were straightforward enough, but camouflage is harder than you think. It adds visual noise and pattern, and I tend to prefer simplicity, but keeping the palette narrow helped minimize the complexity. Making the hand match the brown tone in the pattern helped tie the image together.